Want to watch your favorite DIRECTV programs while on the road? 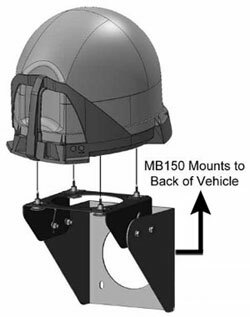 The VQ4100 is to use and small fully automatic tv antenna that you can bring anywhere in the US continental. 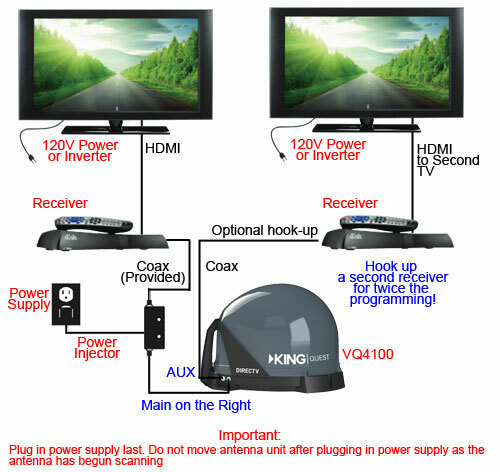 Please Note: There is no return on King Connect Satellites, except for replacement if there is a problem. 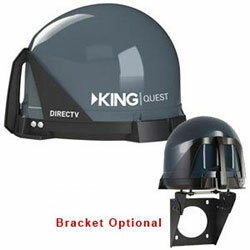 King Controls (now King Connect) wants to handle virtually ALL issues, regardless of where the Satellites was purchased, so you must contact King directly regardless of what the issue is. Warranty for King Satellites must be handled through King directly. King Satellites.